246 USD(for up to 4 people) (duration: 5 hours) deposit ? We offer a wheel chair assisted vehicle as seen on the picture, If there are 2 persons in wheel chairs the chair picks up the first passenger then slides in and that person now can slide on to the other chair. The chair goes out for the other wheel chaired person and back in. Please make your request upon booking. 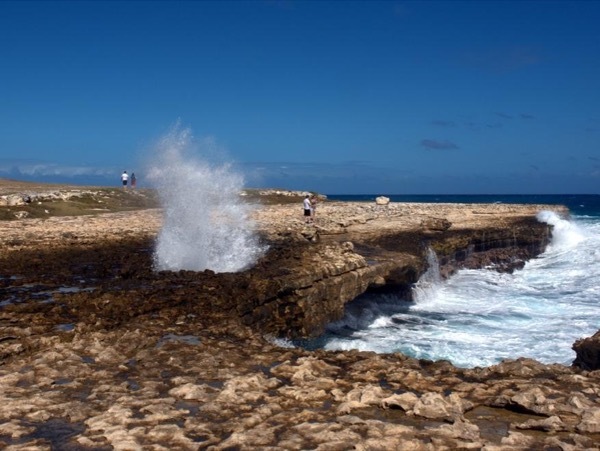 This tour takes you to the eastern side of the island to the old Sugar Plantation, Betty's Hope, then to the Devils Bridge which is a remarkable example of sea water erosion in the Atlantic Ocean. Moving on to The Shirley's Heights which is a restored military outlook with that spectacular view of breathtaking scenic landscapes at 360 degrees from 490ft above sea level. After which we will tour the Nelson's Dockyard which is the only continually working Georgian Shipyard in the world and also serves as a world class marina, hosting yachts from around the world. 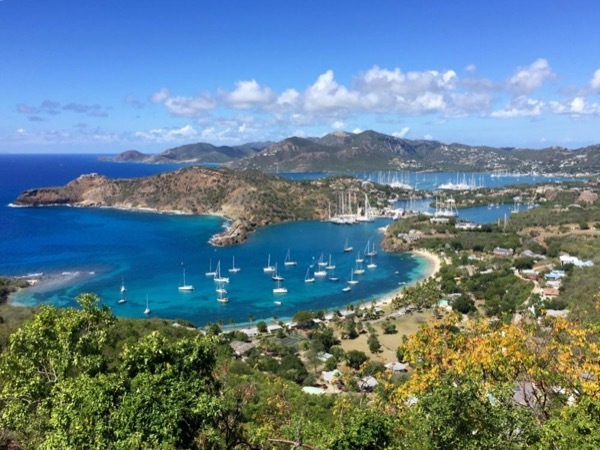 The tour continues through the Rain Forest which is the lush, green scenery of Antigua. During the tour we will make various historical picture stops of the St. Barnabas Church, the sugar mill etc. You will also be treated with the sweetest pineapple in the world, "The Antigua Black Pineapple". After this excited tour we will then proceed to one of the 365 beautiful white sandy beaches which is optional. I promise you a memorable time in Antigua. The tour will start from the time you enter the van. A history will be given to you by me your toursbylocal rep as we begin the journey to Betty's Hope, The Devils Bridge, National Parks of Shirley's Heights, Nelson's Dockyard and the Rain Forest. While driving I will make photo stops as well. This tour takes just about 5 hours then we will end at the beach if you wish. There is an entrance fee of $10. 00 per person which covers all points. You will be treated with a taste of the Antigua Black Pineapple. Depends on the type of customers this tour can take more or less than 5 hours. If it is raining then also it can take a little more longer but it does not affect the tour at all. The cost listed is for 4 passengers. If your group is larger than 4 please contact me for a tour designed and priced for your group with appropriate transportation. You will get around in my taxis which is a very clean, comfortable, air condition 15 seater bus and a wheel chair assisted van which carries 6 passengers. The are very spacious with lots of leg room for a tall person. See pictures posted. Other: Including in the tour is transportation and tour guiding. Other: $8 per person National Parks entrance fee which includes Shirley's Heights and The Nelson's Dockyard. This is optional if one does not want to visit the park.